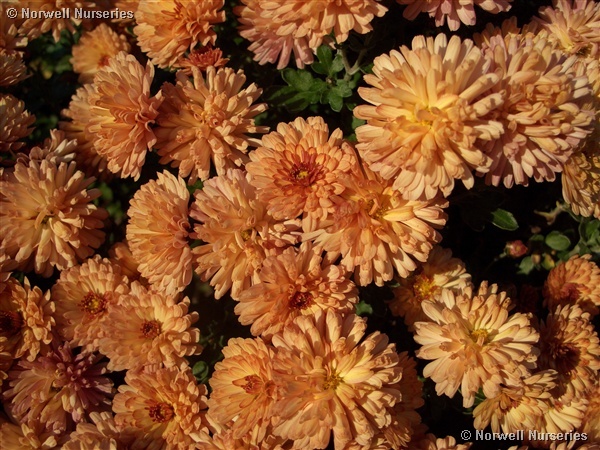 Chrysanthemum 'Bronze Elegance' (Also known as Peterkin). Another very reliable, hardy, Oct and Nov. flowering plant with bronze pom-pom flowers produced in profusion. Looks great with any of the yellow or orange Chrysanths. especially Nantyderry Sunshine.